The movable C-arm X-ray machine consists of high-voltage cable, micro-focus rotating anode, image intensifier, host control panel and other important parts. Among them, the high-voltage cable is connected to the ball tube and high-voltage generator parts. The high voltage cable is connected to the high voltage generator and the X-ray tube head in the large and medium-sized X-ray machines. The function is to send the high voltage output from the high voltage generator to the two poles of the X-ray tube, and the filament heating voltage to the filament of the X-ray tube. Prevent excessive bending. 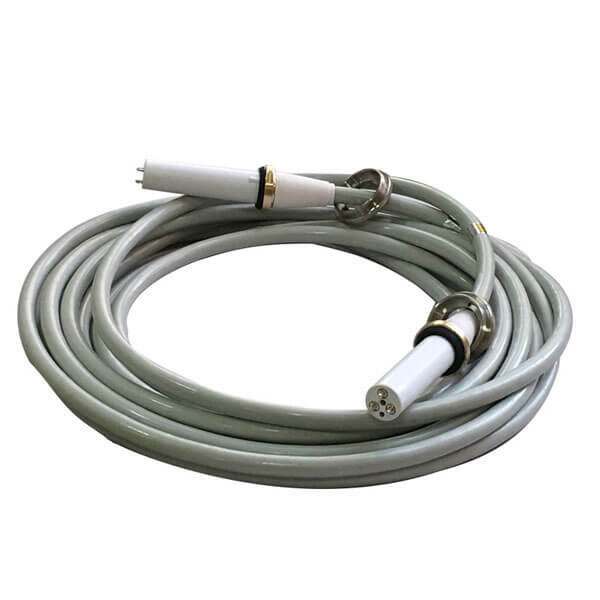 The bending radius should not be less than 5-8 times the diameter of the cable, so as not to cause cracks and reduce the insulation strength. Usually keep the cable dry and clean, avoid oil pollution, moisture and harmful gas erosion, so as to avoid rubber aging.